Hi everyone! The guy in the snazzy pantsuit is me-Cameron! 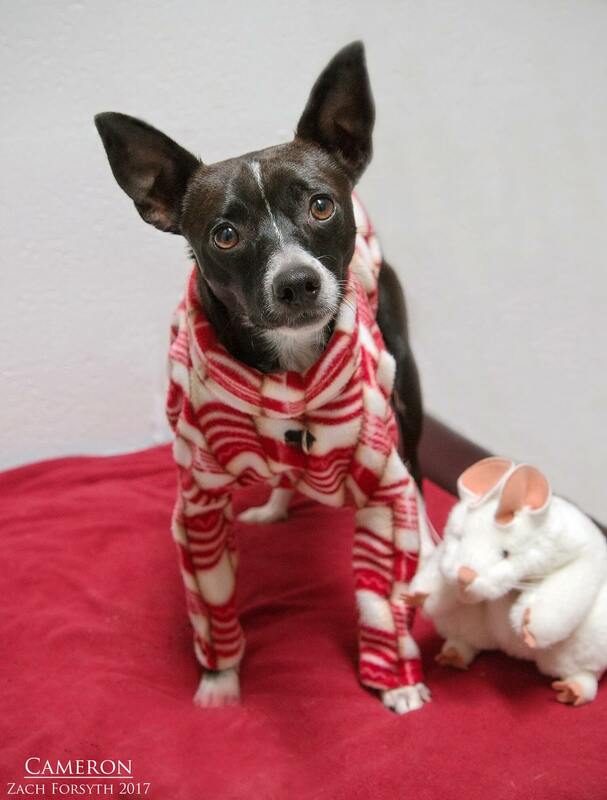 I am cutie patootie 3 year old Terrier/Chihuahua mix. I am coming out of my shell a little bit more each day and am such a blast. Walks with volunteers and playgroup with my favorite dog buddies are really helping me experience the world and gain confidence! I really enjoy my daily outings, and when I know it’s time for my walk, I am all about the dancing and prancing. When you hear the pitter patter of my little feet, you know I am ready to roll! The Pixie staff say that I am starting to really enjoy playing fetch with toys, and I just love hanging out with my other puppy pals! In fact, I come out my shell so much more with another doggy friend in the home! Those cats and kids over 13 can join the party too. 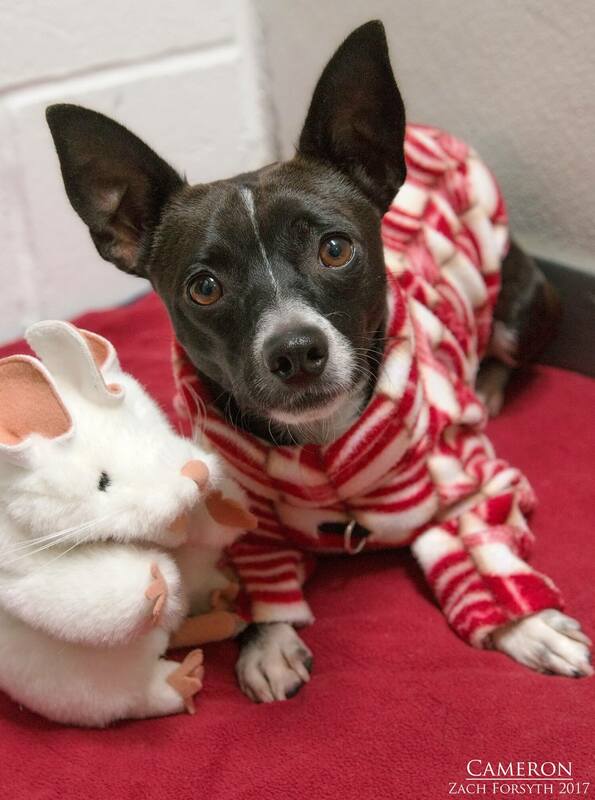 I just need a home with fun playmates who can help me build up my gusto and just make me feel extra loved. Sound like you? Then fill out an application today, so we can meet! I come to you vaccinated, micro-chipped and neutered with an adoption fee of $300.